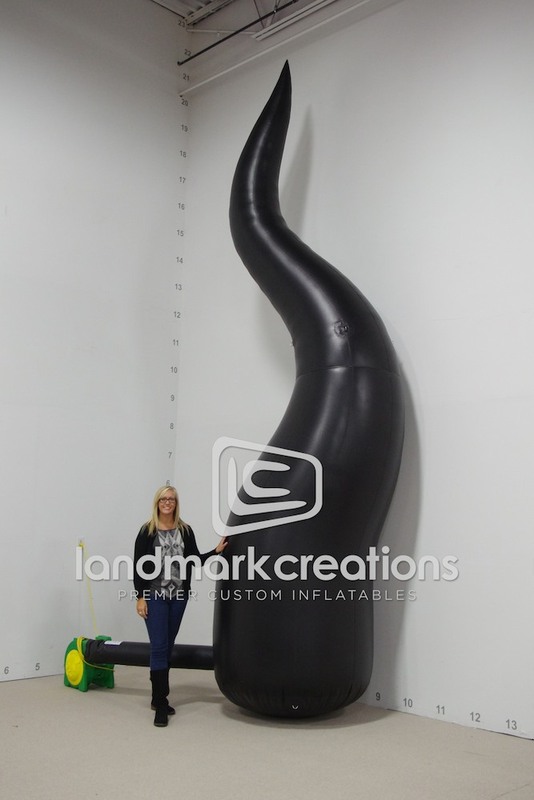 This inflatable tail sculpture was used as part of ‘The Black Lords’, a dark and mysterious public art installation, by artist Desi Santiago. Sponsored by BOFFO and Perrier, the oversized inflatable artwork transformed the Lords Hotel in South Beach into a massive dog named Gypsy. "After speaking to a number of vendors, Landmark Creations had the professionalism, customer service, ingenuity, and creativity that we did not find elsewhere."